The U.S. Department of Veterans Affairs (VA) needed help attracting and hiring Veterans at a time when growing numbers of former service men and women were unemployed. DAI Solutions’ work with the Veteran Employment and Services Office (VESO) led to VESO becoming a thought leader in veteran employment, an increase in the number of Veterans working for VA, and established the VA for Vets program as a transition and hiring model for other federal agencies. Challenge: Faced with a 12 percent unemployment rate among Veterans, VA created the Veteran Employment Services Office (VESO) to enhance recruitment of Veterans into the VA workforce and improve retention rates of Veterans already employed at VA. DAI Solutions’ task was to promote VA as a model employer of Veterans, raise visibility and use of VA for Vets services both internally and externally, and, ultimately, help Veterans find meaningful careers. 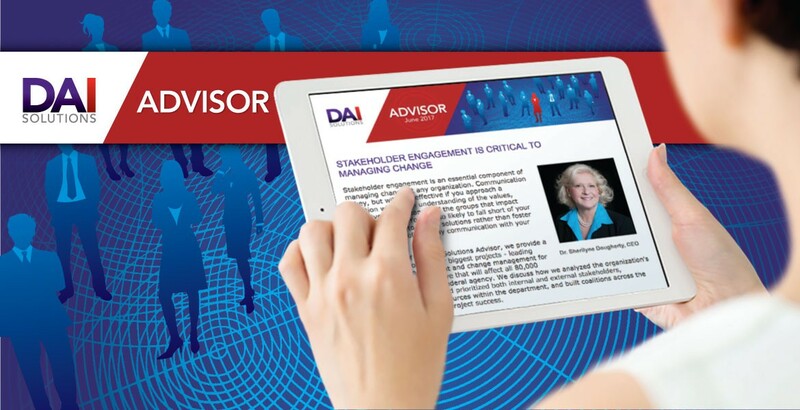 Approach: DAI Solutions developed a strategic marketing plan and change leadership and management strategies to gain buy-in for Va for Vets among VA hiring managers and human resources professionals. 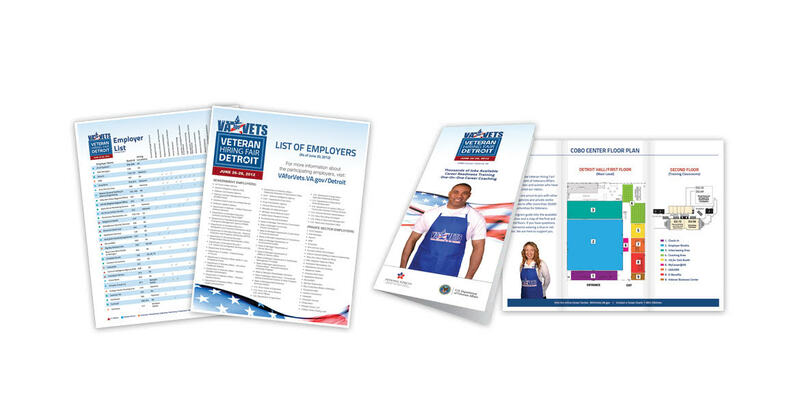 We created marketing and communications materials that emphasized VA for Vets employment coaching, recruiting services and onboarding tools, moving reluctant users to full engagement in program offerings. 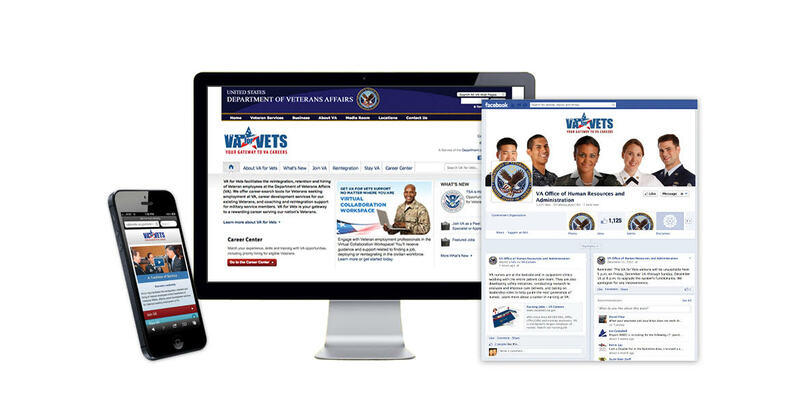 To reach Veterans in need of jobs, we developed a compelling brand that positioned VA as an employer of choice for mission-oriented Veterans and followed an integrated approach to communications and external recruitment, using website, email and social media outlets to promote, educate, open dialogue and encourage valuable feedback from target audiences and end users. Our live and virtual hiring events were among the largest of their kind, with attendance ranging from 100 to more than 32,000 Veterans. More than one million users explored the website, with more than 80,000 registered account holders leveraging the online resources. Veteran hiring at VA increased as a result of program awareness, implementation and the applicant tools available on the VA for Vets website. The time it took to hire a Veteran through VESO was reduced to 15.5 days. Our support helped VESO position VA for Vets as VA’s premier Veteran employment initiative and a model for the federal government and private sector and eventually expanded to the Feds for Vets initiative, in which multiple federal partners committed to expanding the number of Veterans employed by their agencies.